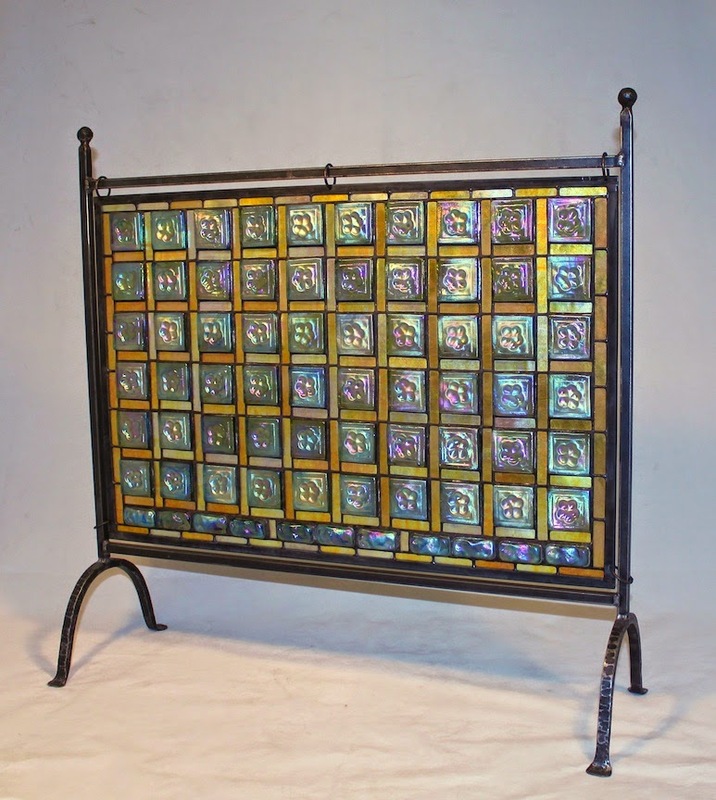 New to our showroom is this stained glass and metal Fire Screen. 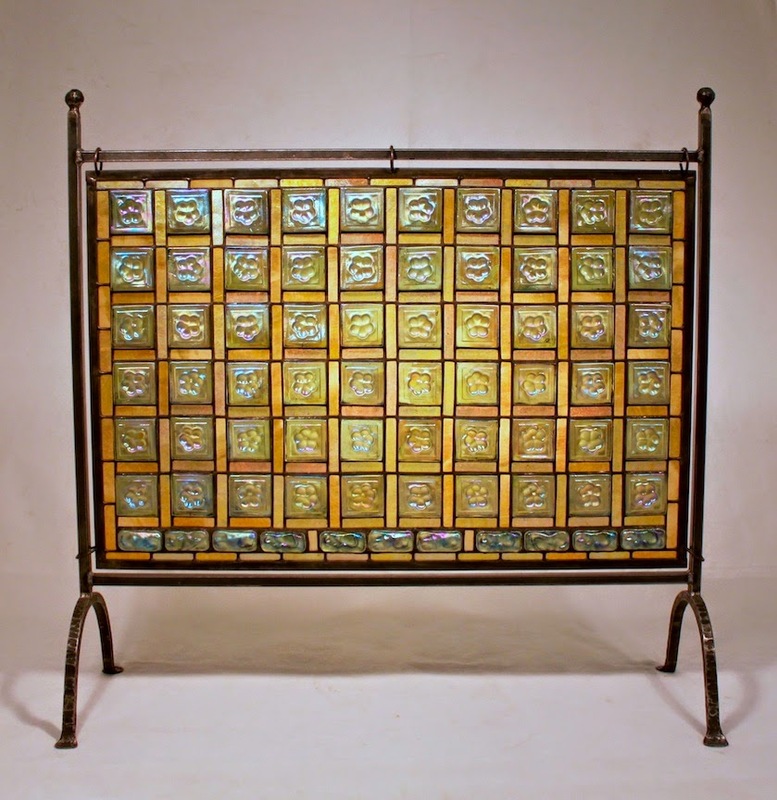 The freestanding screen has a custom-made, wrought iron framework which supports a hanging stained glass panel. The screen is 29″ wide, with an overall height of 29″. 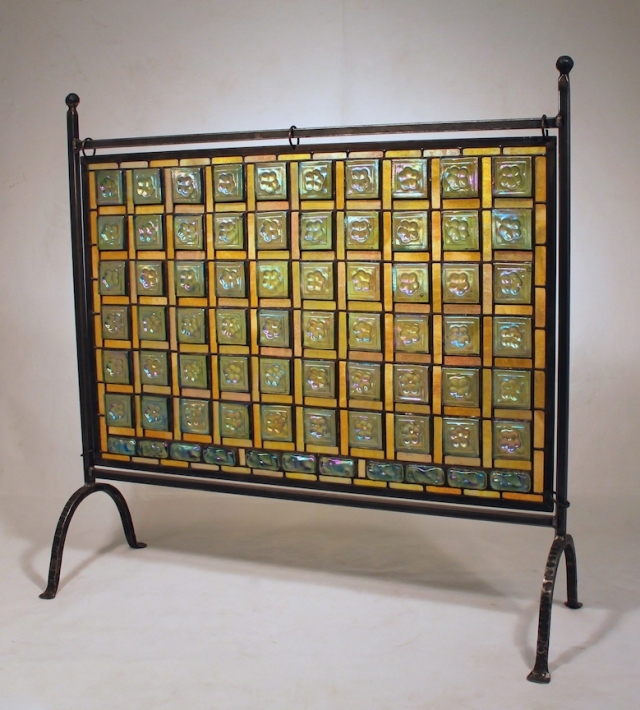 The glass panel features 60 pressed glass tiles and 10 pressed turtleback tiles along the lower edge. 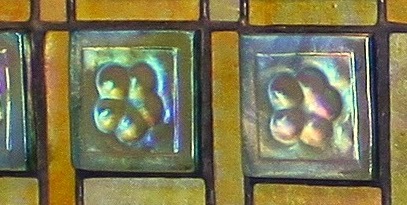 The tiles and turtlebacks are pressed in gold glass using molds taken from original Tiffany Studios examples. Each “jewel” has a gold lustre surface. The glass framework between the tiles is also made from gold lustre sheet glass, giving the panel a golden look when illuminated and a multicolored surface color in reflected light. The design on each square tile is a stylized five petal flower which is pressed into the surface. 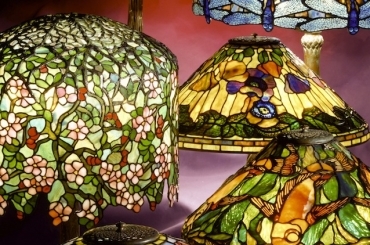 Each tiles is approximately 1/2″ thick, giving the stained glass panel a three dimensional surface that changes when viewed from different angles. This unique Fire Screen is currently on display in our showroom and is available for purchase.